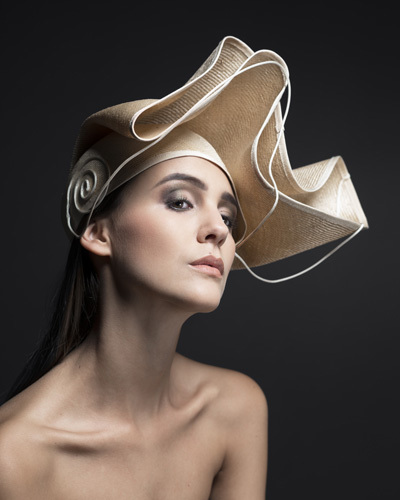 As a trained sculptor, Ria searches out different and surprising shapes, creating unique hats in her own style. A hat will fit on any woman's head, but not just any hat. 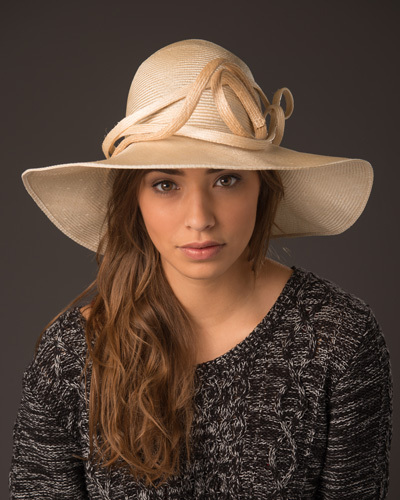 For each hat, we talk through the design with you to find the perfect hat to make your personal beauty shine through. 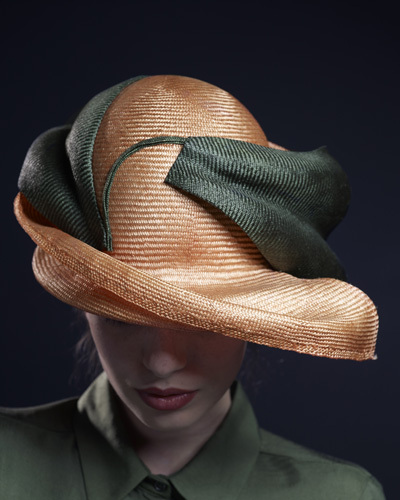 The milliner also molds the edges to give it that perfect finish. 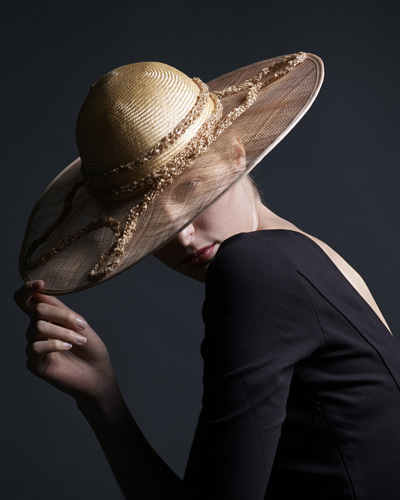 A hat that makes you look beautiful, complements the wearer and not the other way around. Hat-making is a profession, a true craft. Felt, Sisal, Wool, Yarn and other fabrics; each requiring a different kind of preparation process to be then crafted using different techniques. Ria's fashion training together with many years experince give her a natural advantage. A hat worn for a special occasion requires a rather different approach than one that would be worn on a daily basis. A common starting point is taking a piece of material from the dress to be worn, with which Ria can start to colour match. A colour can then be used in just a piece, or for the whole hat. The shape, colour and fabric should form one entity. For those who aren't really looking for a hat, Ria also designs various kinds of "headwear" such as fascinators and diadems, which are of course a must at any wedding. 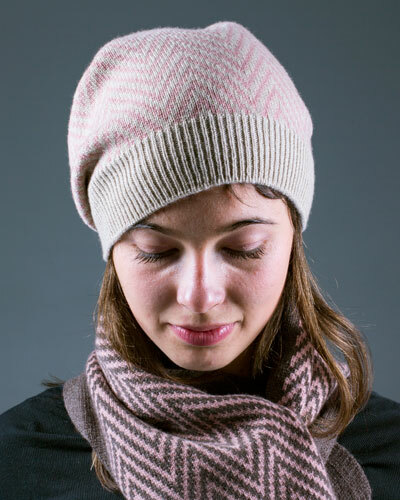 Besides summer and winter hats, each year Ria designs a selection of matching hat and scarf sets. The shape of which is of significant importance. All hats and scarves are made from high quality jerseys or from pure cashmere.